Kamran Akmal (Urdu: ? ; born 13 January 1982) is a Pakistani cricketer who has played Tests, ODIs and T20Is for Pakistan as a wicket-keeper. He is a right-handed batsman. Akmal started his international career in November 2002 with a Test match which Pakistan won at Harare Sports Club. He has made 2648 runs in 53 Test matches with the help of six centuries, while in 137 ODIs, he has scored 2924 runs with the help of five centuries. In T20Is, he has scored 704 runs. As a wicket-keeper, he has dismissed 206, 169 and 52 batsmen in Tests, ODIs and T20Is respectively. Kamran Akmal is a quick-scoring batsman and a wicket-keeper, who has achieved 6 centuries in Test innings. However, his first century was vital – his 109 from the number eight position at Mohali, coming in with Pakistan in a lead of 39 against India in the first Test, ensured that the visitors could draw the match. His form against the touring English in 2005 made him one of the most important players in the team. Naturally, he is a batsman that plays lower down the order but has sometimes opened in both Test and One-day cricket. As an opener he has scored two back to back centuries in ODIs against England. Coming in lower down the order in Test matches, he played one memorable innings. He saved Pakistan from a score of 39/6, scoring a century, to a competitive 245 which helped Pakistan win the match and the series. His batting was highly productive in early 2006 as he scored seven international hundreds within the space of 6 months. Since his tour of England in Summer 2006 however his batting form dwindled and steadily become worse. His wicket-keeping also worsened and dropped many catches on both the England tour and on a tour to South Africa in early 2007. He then scored an international hundred in the Bangladeshi tour of Pakistan in 2008. He later moved to have some injuries and did not play for some days but later he was again brought into the team. 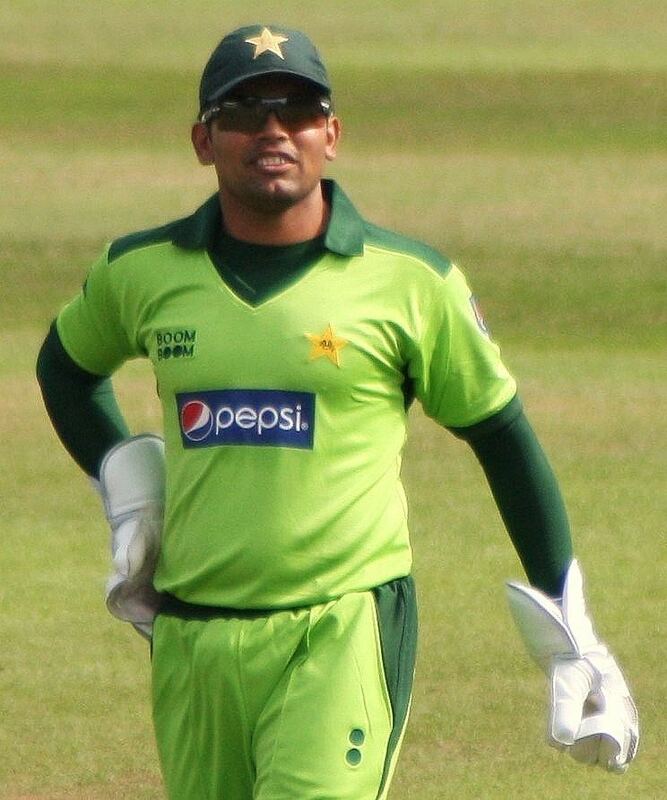 Akmal was dropped for the Asia Cup 2008 as a result of his poor wicket-keeping. He was replaced by Sarfraz Ahmed who performed very well at the domestic level and also because of Sarfrazs strong showing in the U-19 World Cup. Akmal was named in the 30 man probable squad for the 2008 ICC Champions Trophy. Akmal was part of the Pakistan team that won the T20 World Cup in 2009. He was notable for his quick stumpings, dismissing 4 batsmen in one match against Netherlands. Kamran Akmal comes from a large family, of which two of his brothers, Adnan Akmal and Umar Akmal, are also professional cricketers, the former being a keeper-batsman and the latter being a specialist batsman as well as part-time wicket-keeper. He married in 2006 and lives with his wife, Aaiza, and their daughter, Laiba. He is a graduate of Beaconhouse School System Garden Town, Lahore. 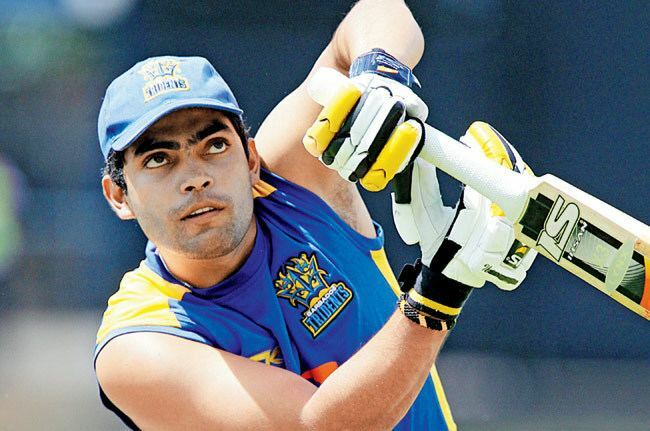 Akmal was signed on to the Rajasthan Royals, and played in the inaugural season of the IPL. He played five matches in the tournament, as wicket-keeper and top-order batsman, including the final of the tournament against the Chennai Super Kings. He took two catches in the first innings, however he was run out for six runs during the Royals chase. The Royals went on to win the tournament after a thrilling finish. He did not play in 2009 because Pakistani players were not selected by any IPL teams to participate that season as a result of the tense atmosphere after the 2008 Mumbai attacks.